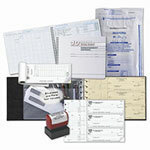 Special Offer - Value Checkbook Covers only 99 ¢ Each - Every Day. Buy 1 Box, Get 1 Box Free! Just for ValueChecks.net customers, these exclusive coupon codes are available to you. Just write down the code and in your last step of ordering there will be a coupon offer box that you enter the code in. Your discount will be applied. This offer is for many different check printing companies with thousands of personal checks and business checks to choose from.